There’s a growing, yet sprawled out, community of practitioners who’ve got a unique sensibility towards an unexpected part of human psyche–objects. This perspective feeds into the tools, methods, and procedures used to approach a given user, service, or program problem. Part of what we do at Matter–Mind Studio is to gather the ideas of researchers, designers, scientists, and philosophers who’ve founded and continued to contribute to this concept. Here, we introduce and welcome new designers who offer that sensibility. We’re proud to share with you the work of Semina Yi and Ashley Chen two designers, out of The New School Parsons BFA Product Design program in New York City. Semina Yi’s work, “Relatives” is a tool for designers and non-designers to use in the process of making. It works to help makers measure the “ethical gravity” and “emotional weight” of tangible materials. “Relatives is a family of instructional artifacts that help designers and non-designers factor the experiential and ethical gravity of different material options. I have brought together the physical weight a product has, with the emotional weight that results from using that object. Specifically, physical sensation (touch). The first generation of relatives is comprised of a half dozen material “eggsamples”. 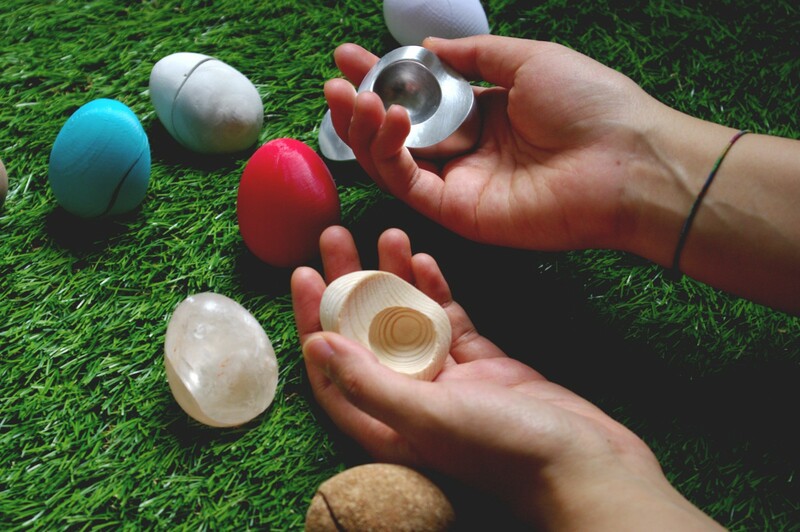 Upon first approaching the set, the egg shape is familiar to us. 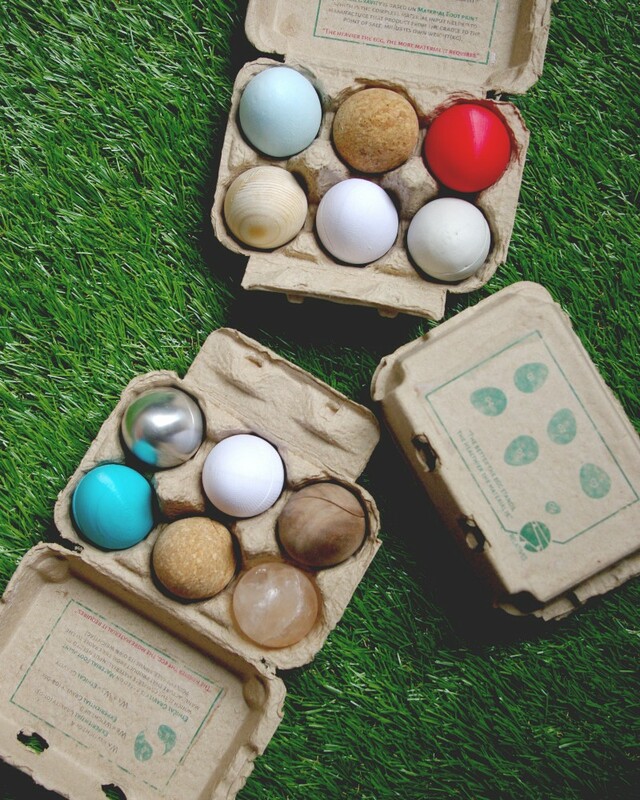 But, once it’s held in the hand, each egg’s weight and material vary. Defamiliarizing what’s expected from these objects will invite users to question materiality. Through this physical experience, Relatives tacitly informs users of the physical impacts of different materials to increase ecological awareness and personal responsibility. 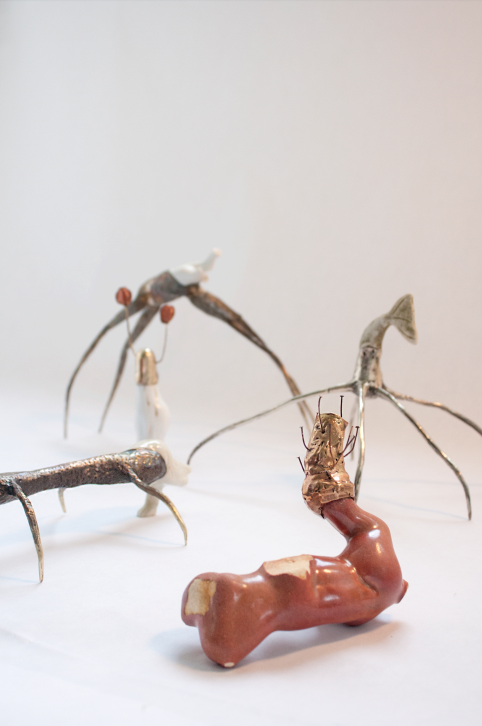 Ashley Chen’s work, “Misfits” is a reflection on a sentimental, pervasive habit of collecting. It focuses on the object and the collector. “Some might regard my habit of collecting as a compulsion to hoard, but I like to categorize it as archaeological excavation. Despite the invasion of objects in a living space, collectors often feel proud, enjoy conversation around, and are willing to display their objects to others. Imaginative assemblage, storytelling, display, along with my hobby of collecting mundane objects, led me to explore the creation of objects containing narrative significance. 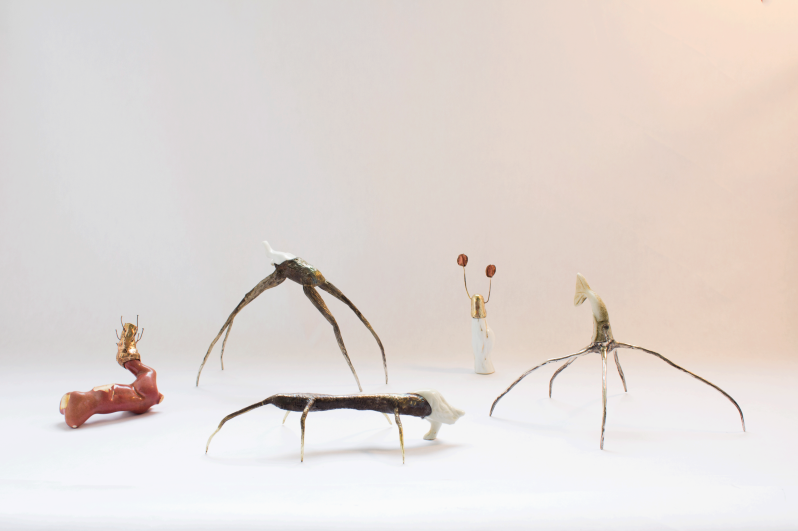 Misfits, five small sculptures conceived by personal imagination, focuses strongly on the transformation, narrative, and connection between a particular set of found objects and their collector. 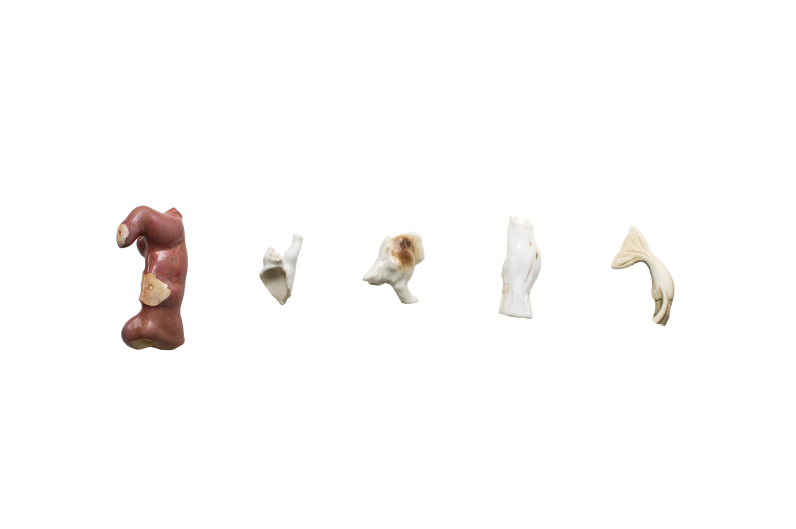 Each artifact is made up of a remnant of a ceramic figurine and a metal addition. The metal aids in grounding the forgotten piece that would’ve otherwise existed as a broken object on a table. What remained has been collected, reimagined, and a part of a new collection of objects. The addition of the body is a reincarnation of the object: not what it was before but what it now has become. 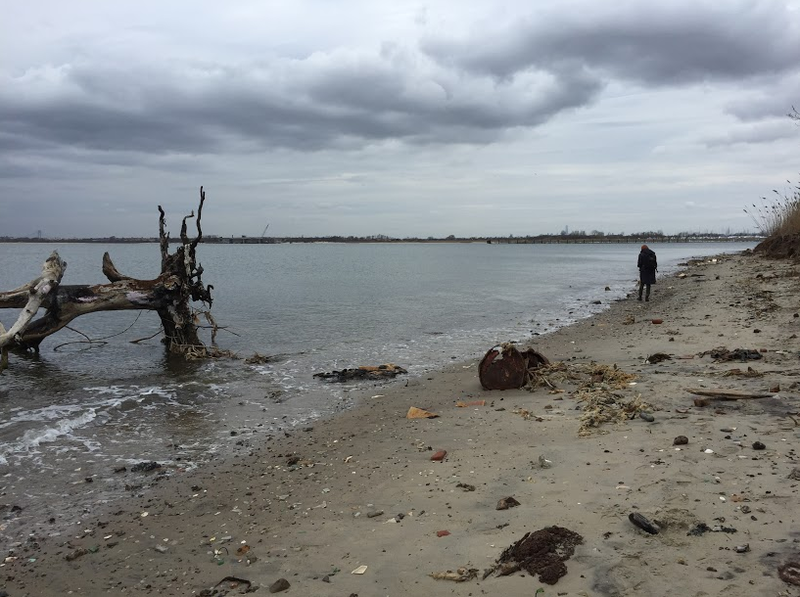 Left image: Dead Horse Bay. Right image: Original found objects. Our human experience from childhood to adulthood tell us that the objects we’re surrounded by, like the clothes in your closet, your toolbox, and your childhood home not only serve us to be technically useful, but in fact, they serve our emotional well-being, too. Our experiences with these objects can become influential to the way one understands parts of life–beauty, injustice, ideas of what’s preferable. Some of us go as to dedicate our personal lives and profession careers to this theory. Thank you for taking the time to read this article. Check out more emotion-focused design at Matter-Mind Studio. We're a design and strategy consultancy, who helps organizations build emotional connections with their audience.